St Thomas' and REMEO opened their pioneering respiratory weaning and long-term ventilation centre in Redhill in 2014, as a satellite unit of Lane Fox’s London base. Its aim is to revolutionise the way that complex respiratory patients and their families are supported – and it will, we believe, create the blueprint for more centres like it in the future. Here, within what is very much a nurse-led culture, we can offer you the chance to grasp more responsibility as you play your part in the development of this exciting initiative. Joining our Redhill team, you will be employed by REMEO Healthcare Ltd. 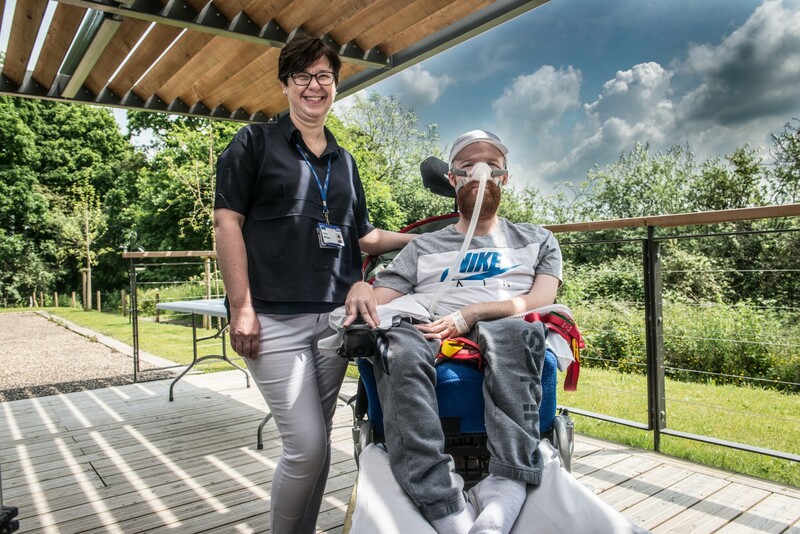 Within this peaceful semi-rural setting surrounded by nature, our patients enjoy a calm and tranquil environment within which they can take their first steps toward independence. Our nurses find it an equally inspiring place too. After all, you’ll be working in a bright, modern purpose-built centre that combines great facilities with state-of-the-art technology. There are also superb transport links, with the coast and central London just 30 minutes away by train. The rail station and Gatwick Airport are both nearby, and you’ll find excellent schools, great shopping and outstanding leisure facilities all close at hand. Redhill provides that vital step between high dependence and home. As such, nurses here have the opportunity to get to know their patients and support them through each stage as they gain as much independence as they possibly can. We also encourage our nurses to broaden their skills at every opportunity, with the advanced use of ventilators for example. There’s a strong link with Lane Fox’s London base too. Consultants are all based at St Thomas’ and visit regularly, and patients frequently travel to St Thomas’ so they can benefit from our shared resources. REMEO has put together an outstanding benefits package to attract the very best nurses to Redhill, including an excellent basic salary with unsocial hours payments, a defined contribution pension with up to 10% employer contribution, private medical insurance, life cover, childcare vouchers and cycle to work scheme. We’ll also pay for the reimbursement of NMC registration – and give you access to our innovative ‘Benefits of Choice’ scheme, bringing you terrific discounts with hundreds of retailers including Sainsbury’s, M&S, ASDA, Expedia and lastminute.com.